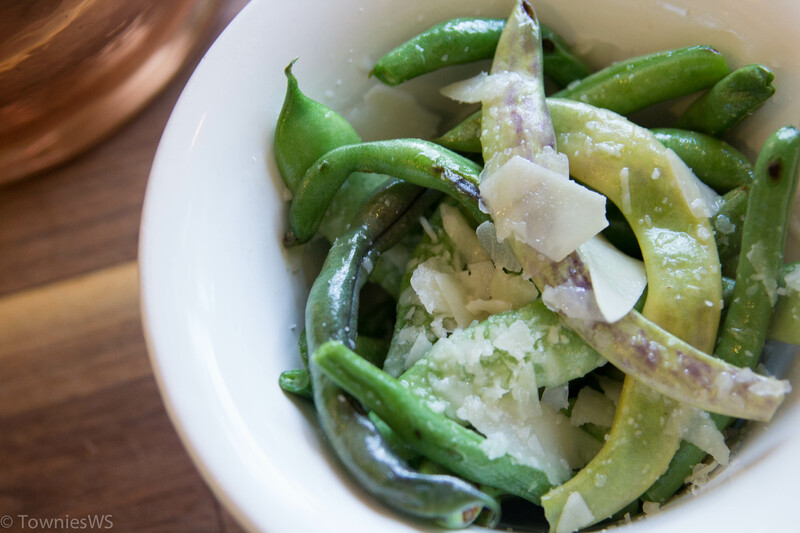 Green beans if you’re southern; string beans if you’re by way of the north; pole beans or bush beans depending on how you grow them; haricot verts for the classic French. Whatever you call them, we’re certain these lanky legumes have graced your family’s dinner table for as long as you might remember. There may be no greater go-to staple and for good reason. Green beans are the third most commonly grown home garden vegetable in the US, only triumphed by peppers and ‘maters. And they thrive nearly everywhere, tolerating our range of North Carolina soils from sandy to hard red clay. Summer is surely the time to savor them. Pick them firm and taste the fresh crunch. Right now we’re enjoying a simple yet sophisticated preparation. First we lightly blanch them to brighten their color and preserve their nutrients, then toss with a little salt and pepper, add a generous pour of earthy truffle oil and finish with nutty shaved parmesan on top. Take that green bean casserole. Inspiring, as we wait for our last crop of green beans to come on for the summer…thanks!